The Verizon variant of the Moto Z, along with other Motorola devices, got its Nougat update in November. 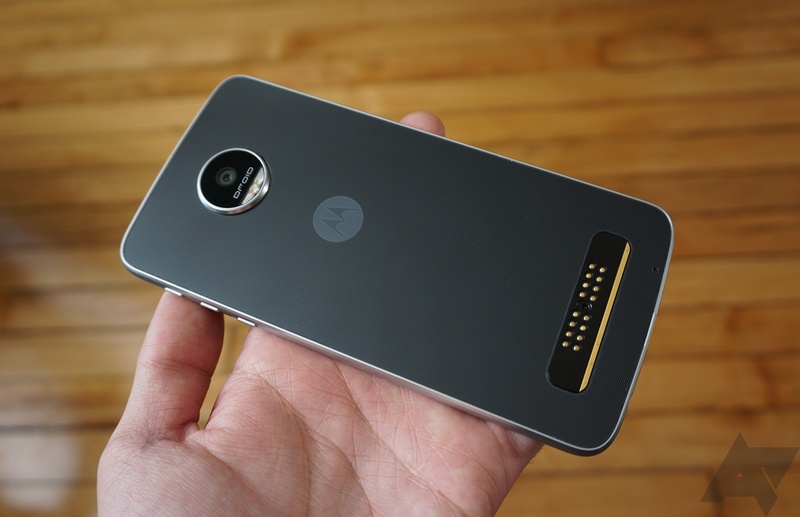 The company said it would release Nougat to the unlocked Moto Z in February (that's a good few months after the Verizon variant), and now the Moto Z Play is on course to be updated too, via an early preview of the software in the Motorola Feedback Network. The Moto Z Play is the lower-specced, slightly cheaper version of the flagship Moto Z. The tip we've received tells us that people in the Feedback Network with a Z Play will be getting the early preview version, and that Motorola are "moving quickly" on this. The email asks that users take an enrollment survey if they wish to take part, but prospective testers "must be a member of good standing of the Motorola Owners Forum to be included." There is no word if the Verizon-exclusive Moto Z Play Droid edition will also get included in this software preview. We already know that the final version of the Nougat update for the Moto Z Play will arrive in March. Of course, it is possible that the update is not Nougat, but at this point, that can be probably be considered unlikely. In the meantime, if you're a Z Play user and have received the email, let us know in the comments what you think of the Nougat update once you've your device has been updated. The full text of the email has been copied below. Thanks for joining the Motorola Feedback Network. We are inviting owners of the Moto Z Play to participate in an early preview of a new software release, and provide feedback. If you are not currently using a Moto Z Play, please excuse and ignore this email. We are moving quickly on this release, so please don't wait to respond. Click the Begin Survey button at the bottom -- to take the enrollment survey if you wish to take part. This link is uniquely tied to this survey and your email address. Note that you must be in good standing of the Motorola Owners Forum to be included. This is a confidential opportunity under the terms of the Motorola Feedback Network. Do not post any details or information about this on any public or private websites.